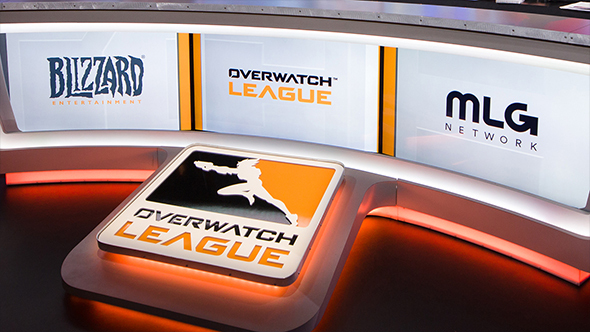 Update, January 9: Twitch’s exclusive third-party streaming rights for Overwatch League are reportedly worth over $90 million. A comparable seven-year $300 million deal was struck betweenRiot and BAMtech in late 2016 related to League of Legends streaming, but that was focused on technological development rather than exclusive streams of competition. The $90 million figure “may” include other agreements between Twitch and Blizzard not directly related to Overwatch League. The Activision-owned MLG.tv service will show half of the regular season contests. Twitch own the exclusive third-party streaming rights worldwide, except for China. Streams are also available via MLG on OverwatchLeague.com and the app. Meanwhile in China ZhanQi TV, NetEase CC, and Panda TV will be taking the reins. Update, January 9:Twitch have announced a partnership with Overwatch League covering the first two years of competition. Overwatch League and Twitch have come to a streaming agreement ahead of the season’s start this week. The two-year deal will encompass the League’s first two seasons, making Twitch the exclusive third-party source for OWL streaming, except in China. Games through the regular season, playoffs, and championships will all be streamed on Twitch in English, Korean, and French. Twitch will be working on additional content in promotion of the League, including exclusive in-game items. We’ll find more details about “insider content and additional rewards for the biggest fans, as well as Cheering with Overwatch League Cheermotes,” as those services become available. Overwatch League begins this Wednesday, January 10, at 16:00 PST / 19:00 EST or January 11 at midnight GMT. Original story, January 8:Overwatch League’s first season begins in just over 48 hours, and still nobody’s quite sure where you can watch it. You won’t be seeing it in person on day one because tickets for the (admittedly modest)arena are already sold out, but we’re not even positive where you’ll be able to stream the event. Preseason games streamed on the Overwatch League homepage and MLG.com, but the question has always been whether Blizzard and Twitch would settle on a streaming deal in time for the start of the League. Esports analyst Rod Breslau says a deal between OWL and Twitch is still expected to be done in time for the start of the League, but questions the season’s potential success based on modest early viewer estimates. OWL on Twitch is still expected to be a done deal for launch. For reference, Miller's hopeful OWL viewer count would still be only a quarter of the highly coveted esports tournament the Tyler 1 Championship Series.